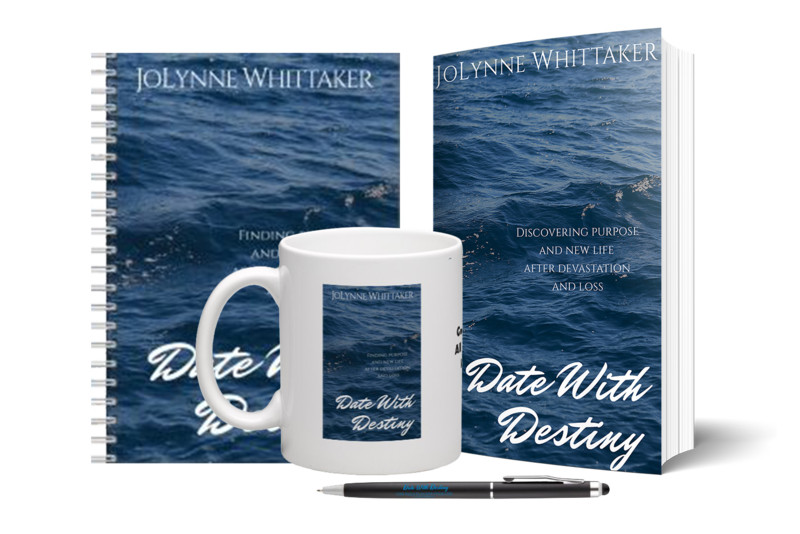 Date with Destiny | Order a copy of Prohpet JoLynne's book today. If you’d like to treat yourself as God leads you into your Date with Destiny, you would love Prophet JoLynne’s Date With Destiny Gift Set. In your gift set you will receive: 1 signed copy of the book, a matching blank journal, and a matching pen. You may add a matching coffee/tea mug if you wish. What I can tell you is this: I was at a point in my life where I knew I wanted more, I knew I was made for more, I just did not know how to get there. I had lost everything. I was shattered and broken from so many disappointments and struggles in life… but I was determined to regain my joy and step into purpose. One dreary Sunday after church, I followed the voice of God to a little broken down lakehouse. The cottage, situated on a secluded road along the shore of oceanic Lake Ontario, seemed abandoned but would become my home. 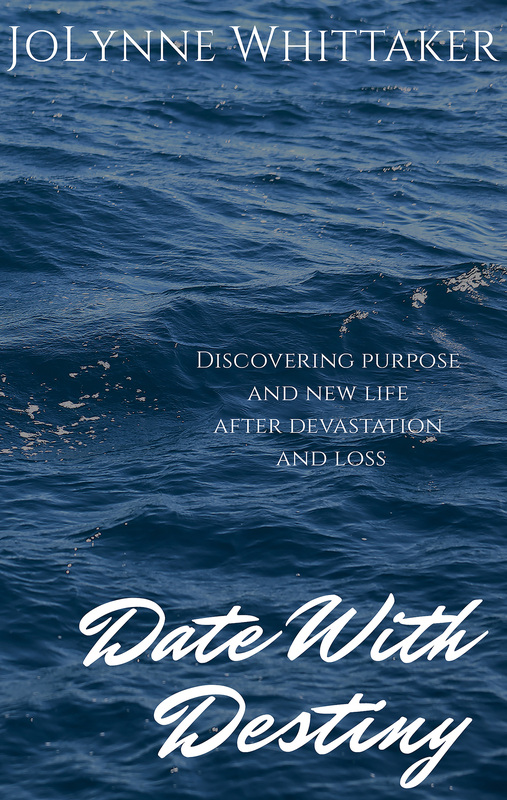 At the time, I had no idea God was leading me into a Date With Destiny, but He was. My whole life was about to change — I just didn’t know it yet! It will be the same for you. God has a plan for YOUR LIFE, just as He had a plan for mine. I believe the God who made you will arrange your own date with destiny, encounters and revelations that will lead you into purpose and shift you into a new season of your life. Over the course of the time I spent at that crooked little lakehouse, the devil tried his best to destroy me. Every possible assassination attempt came at me — but in the end, the will of the Lord prevailed! God showed up! I dreamed of a better life, a happy marriage. I wanted to see my children healthy and joyful, and I wanted to break out of the poverty I’d been raised in. As I wrestled with my past and reconciled myself to God’s will for me, the Lord led me into some of the most mind-blowing supernatural encounters of my life! God showed up for me, and I believe He will show up for YOU. Now is YOUR time, this is YOUR season! God navigated me into healing, restoration and breakthrough — I believe now it is YOUR TURN! When we feel like we’re sinking, God will send us a lifeline. When we feel our most alone, our most broken, Jesus will come sit beside us and see us through. This book is for anyone who believes in second chances and new beginnings. Date With Destiny is for the people who believe in the relentless love of God, and that the life you have is not all there is. If you believe where you are, is not where you must stay, then this book is for you! I believe God wants to shift you to the next dimension of your life and lead you into the destiny He has prepared for you. I’d love to help you on that journey. Let me tell you my story and in the doing, encourage you that victory and blessing, elevation and happiness, can be yours as well — because God loves you just that much!